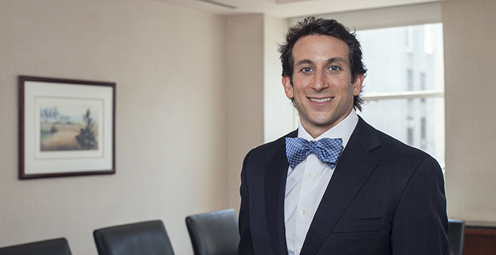 Andrew S. Katzenberg is Senior Counsel in Kleinberg Kaplan’s Estate Planning and Administration practice. He focuses primarily on wealth transfer planning and preservation, multi-generational planning, estate and trust administration, nonprofit and tax-exempt organizations and charitable giving. He works with a variety of high net-worth clients including hedge fund and private equity managers, business owners, art dealers and athletes. He also represents clients in all phases of forming and managing nonprofit and tax-exempt organizations (including public charities, private foundations and private operating foundations) and acquiring and retaining their tax-exempt status. Andrew has authored numerous articles related to his field and is a frequent contributor to the New York State Bar Association’s Trusts and Estates Law Section Newsletter. He is also a nationally recognized lecturer and AV Preeminent rated attorney by Martindale-Hubbell. In addition to his regular practice, he actively engages in pro bono work and has been recognized for his contributions by the New York Legal Assistance Group (NYLAG) and the New York City Family Court Volunteer Attorney Program. Transfers of Tangible Property: Look Out for Sales Tax New York Law Journal, June 2014 - Reprinted with permission from the “June 9, 2014 edition of the New York Law Journal”© 2015 ALM Media Properties, LLC. All rights reserved. Further duplication without permission is prohibited. For information, contact 877-257-3382 - reprints@alm.com or visit www.almreprints.com.